Ever had a dream so big that it scared you? When you think about said dream, does it make you a little uncomfortable? Almost as if it’s completely unattainable? Those are the dreams that should be chased until they’re a reality. Personally, I have a few different dreams. My obvious passion is writing. I want to be a published author; not necessarily for a specific genre, but more so just to share my passion with the world. When I write, I feel a sense of accomplishment. I feel as though I’ve opened myself up and kept a secret at the same time. I am not a great communicator verbally, so writing is where I shine. I get a true sense of intoxication when people enjoy what I have written. It’s my relief and I’m grateful to have such an ability as this. Where my verbal fails, my written expression prevails. Another dream of mine is something a little more creative. I am passionate about hair, nails & makeup. I’ve only just recently taken a real interest in makeup, but it’s an interest of mine that has grown rather quickly. I’m always watching YouTube makeup tutorials and when I’m in the store, I’m always looking to add a new lipstick or concealer to my collection. I have loved doing hair and nails since I was about six year old. My paternal grandmother was a hairdresser for over 40 years and both of my older sisters are professional stylists, so I truly feel like that hair gene runs in the family. It’s nothing for me to pull up a YouTube tutorial for a new style. I love trying new styles and I love switching things up. I feel like my hair, although it is the first thin people may see, is an extension of who I truly am. Each hair style I rock reflects a different mood and I love to see what works for me and what does not. And the same with my nails. I love experimenting with different colors, especially bright ones. I recently came to the conclusion that I may have possibly majored in the wrong thing. Granted, I’m grateful for my college years and my degree, but I want much more from life than just being a case worker. I want to go to cosmetology school, and focus in on what I’m really passionate about. I want to spend my days helping women feel good about themselves and fulfilling my dream of a career in the beauty industry which will hopefully develop into a brand of my own one day. This is awesome! 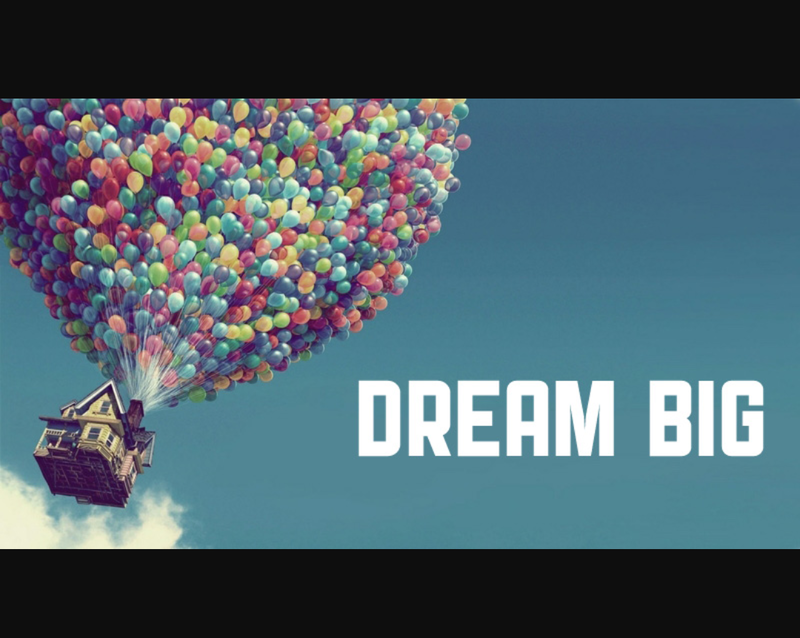 I agree, we need to keep chasing the big dreams that scare us until they are a reality. That’s how the greats become the greats, right?